The Spanish national Congress has approved a draft law for the self-employed (source). Here is an overview of what to expect. Update: We have published a new overview of the law as approved by the Spanish Senate in October 2017. Read the updated version here. Employment minister Fátima Báñez said: “This law provides greater security and social protection to this vital sector of the economy”. The law, called the Ley de Reformas Urgentes del Trabajo Autónomo (Law for the urgent reform of self-employed work) has now gone to the Senate for the second part of its progress through parliament. 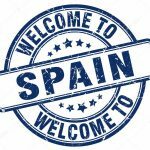 Update October 2017: The law has passed its reading in the Spanish Senate largely without changes and is on track to become national law on January 1, 2018, although this date is not yet firm. The self-employed can “de-register” up to three times a year. This means they don’t have to pay any tax or social security during the de-registration period. This measure is especially important to those who work in seasonal work such as tourism or agriculture, and means they don’t have to pay tax on periods where they are not working. You will be able to change your self-declared tax band on a quarterly basis to adjust your tax rate to your real level of income. However, an increase of 8% in the minimum tax rate payable will still see a real term tax increase for most self-employed, especially those who employ people. The “flat rate” of €50 a month social security will now apply during the first year of your self-employment, and will apply to mothers who return to work or anybody who has previously been self-employed and returns after a two year absence. The limits governing the amount of tax you pay will also be adjusted, mainly for the better. All federal regions of Spain have agreed to offer the same tax rates to the self-employed. Fines for late payment of cuotas have been reduced. An increase in the limits of acceptable travel expenses has been agreed. A provisional daily expense of up to €26.67 a day has been agreed when travelling within Spain, when a payment to a cafe, restaurant or hotel can be justified by an electronic payment (ie bank transfer or card payment). A provisional daily expense of up €48.08 a day has been agreed for international travel under the same payment terms. And large companies who fail to settle small invoices with autónomos will run the risk of statutory fines being imposed by the appropriate watchdog. If all goes well, the self-employed (there are more than 520,000 autónomos in Andalucía alone) will start to see changes from autumn of this year, with the vast majorities of the changes to the RETA (Régimen Especial de Trabajadores Autónomos) being implemented by January 1, 2018. We will inform our autónomo clients of changes that affect them as and when they come into Law. If you’re self-employed, contact Cervantes Alarcón Consulting to see how we can save you money on your monthly accountancy and tax control costs!